Note: zombies and obb are not in the same game. Just when you thought "Man that co-op bundle from Bundle Stars sure had a lot of great co-op games", the same people come along and even more things for you to buy and play. This bundle's got three things we love in our cooperative video games: ibbs, obbs, and zombies. The Abstract Bundle 2 features ten games that stay true to the theme of making you wonder what the heck is going on. We've got abstract first person exploration games, abstract puzzlers, abstract strategy games, and just about everything in-between. 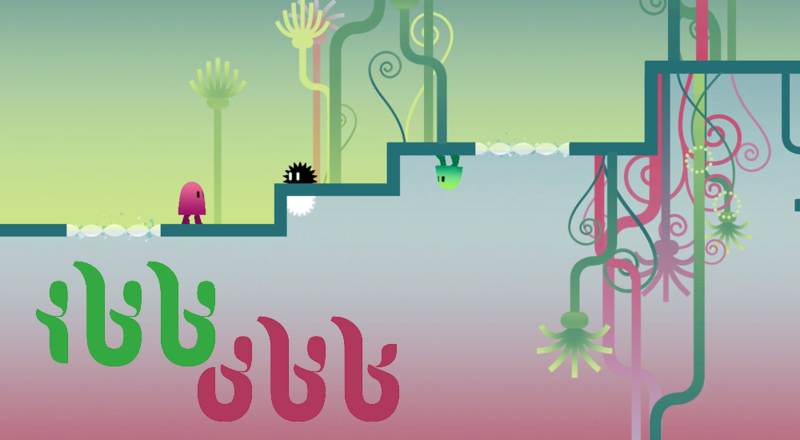 Topping our totally non-biased list is the abstract co-op puzzle game ibb and obb, handing you two copies for some fantastic online or local co-op head scratching entertainment. And when figuring out how to beat gravity and gate puzzles has you stumped, jump over to Nomad for an Early Access pass to experience a blocky sandbox world of crafting, creating, and zombie survivalin'. The Abstract Bundle 2 works just like every other Bundle Stars offering. Pay one flat price ($2.99), get the games. Unless otherwise noted you'll get Steam keys for everything in the bundle, so playing is pretty much as easy as copy/pasting. You can do that, right?